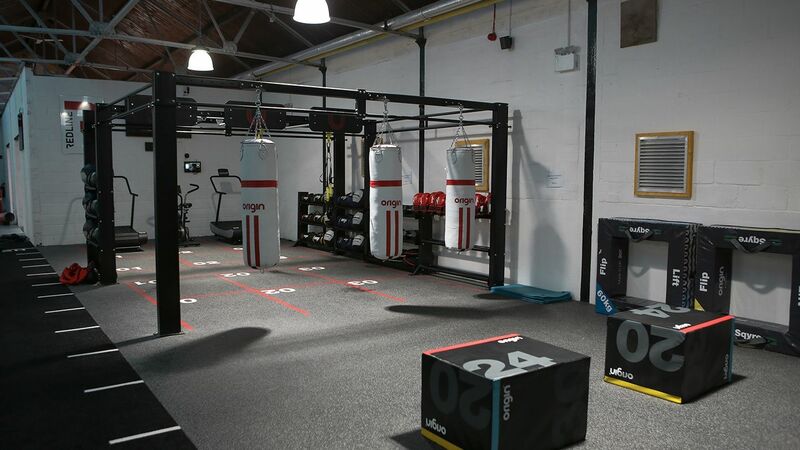 Over the past two years, Origin Fitness have worked with Jack Urquhart and the rest of the uGym team to transform an old mill at the heart of Tillicoutry into a state-of-the-art fitness space. 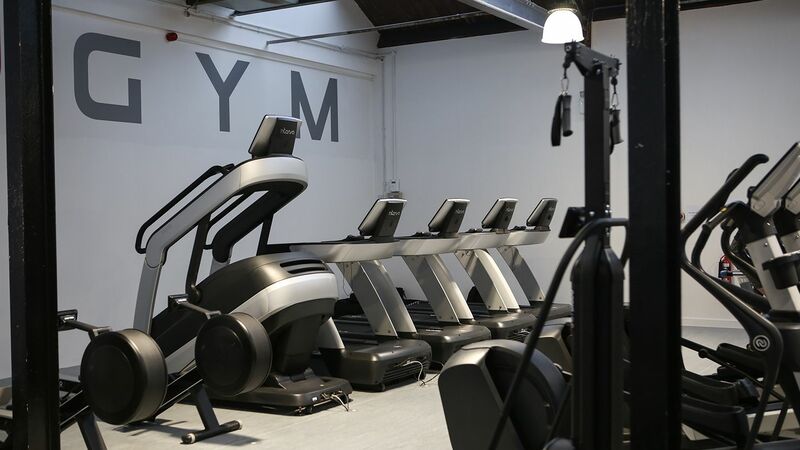 Finally, at the start of 2019, uGym opened their doors and revealed one of the most forward thinking independent gyms of central Scotland. Within a month of opening, the team recorded 200 members signed up with further enquiries coming in on a daily basis. The objective was to offer the local Tillicoultry community a fitness space that would rival, or even outperform, any large city gym. Due to its rural location, the creation of a top-quality facility would open up the possibility of grabbing the attention of members from further afield, creating a larger than usual catchment area. In order to fulfill this brief, uGym did not just need the best equipment, but also needed to present the gym as a high-end facility through design and service, and use marketing and branding services from Origin Fitness to get the word out quickly and efficiently. The gym is split in to various training zones divided by clear walk ways. 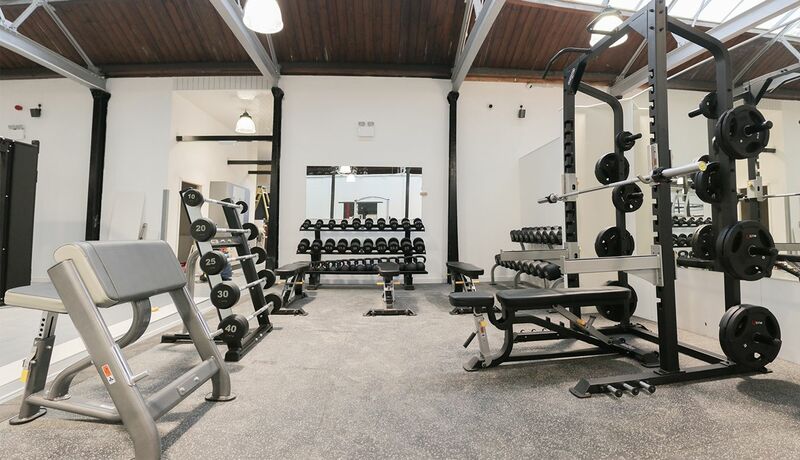 The main floor hosts a free weights and strength area, boasting Sterling Plate Loaded equipment and custom branded Origin Free Weight Accessories. Furthermore, the cardio zone is equipped with a full Intenza Fitness cardio suite, complemented by various other HIIT cardio pieces, including the Origin OUB1 Upper Body Rowing Machines, Origin OR1 Rowing Machines, and the brand new Stages Solo. Each of these pieces are highly intuitive and provide the users with a high-tech interface allowing them to stream entertainment straight from their phone, or load virtual sceneries to aid their cardio training. 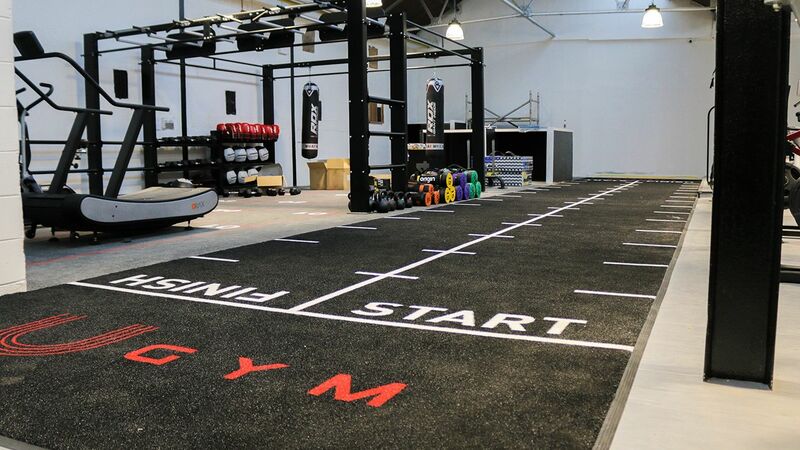 The highlight of the main gym floor is the inclusion of the REDLINE studio; an open functional training space designed to offer uGym members a boutique HIIT group training experience, in the comfort of their usual training space. This concept was launched by Origin Fitness in 2018 and comes as an all-in-one solution for gyms, to provide them with the tools to compete with smaller studios opening up in the vicinity. It comes fully loaded with floor markings, custom rig, products, marketing and training support as well as a full MyZone HR system set up and subscription. In order to make sure the uGym staff team could make the most of the REDLINE zone and get members engaged right from the start, a master trainer from Origin Fitness supplied the team with a full day's training on how to engage people in the three class programmes that come standard with the REDLINE zone. The feedback has been very positive, and member engagement has been high ever since the classes first launched. Power Up Your Studio with REDLINE® Convert your old studio space into a boutique inspired group exercise zone, with our all-in-one REDLINE® solution. Every REDLINE® zone comes standard with: ✔ Bespoke REDLINE® training Rig ✔ Flooring and REDLINE® markings ✔ All training Equipment ✔ HIIT cardio machines of choice ✔ Full MyZone Setup ✔ Three class training programme + Exercise library ✔ Marketing and Staff Training Support Origin Fitness gives you all the tools you require to make your REDLINE® studio a smash hit with your members. Visit www.originfitness.com/redline for more information or speak to our team to find out how to introduce REDLINE® to your facility. To provide their members with the opportunity to train their strength in a more private setting, the uGym team created a semi-enclosed lifting space. 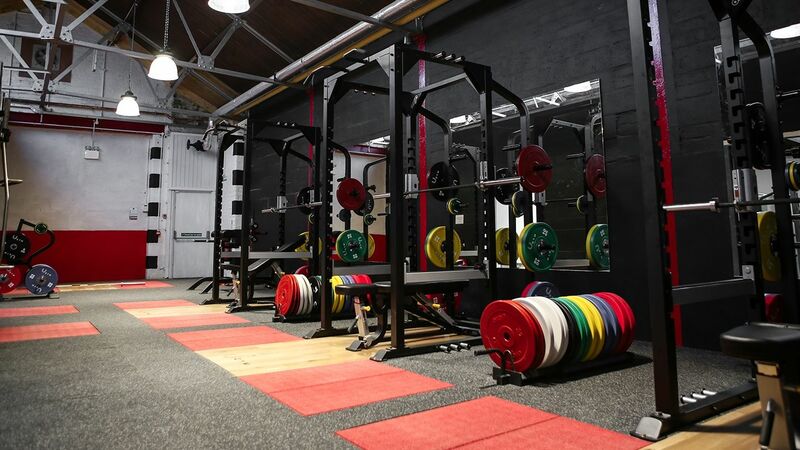 Equipped with three Origin Power Racks and four custom branded oak platforms inserted flush into the floor, this zone ensures members can carry out their training to a very high standard. 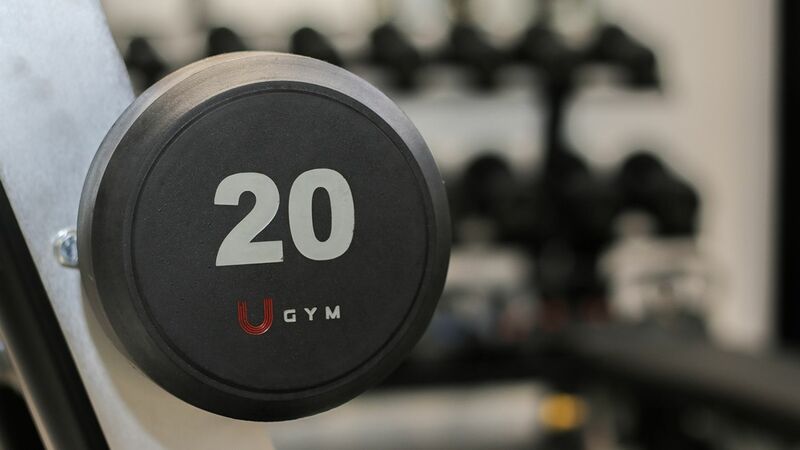 On each of the racks, Origin Fitness supplied full sets of custom branded Urethane Olympic Bumper Plates, reinforcing the uGym brand throughout the facility and ensuring the logo appears on any training photos and videos posted by the members. In a separate room within the gym, a specialist PT studio was created to offer trainers and their client's privacy while carrying out their sessions. This space is equipped with all the necessary tools to provide the trainers with the opportunity to deliver high-quality training support to all their clients. The room boasts its own sprint track, two Origin Elite Power Racks, a selection of custom branded Origin RD2 Dumbbells and Urethane Kettlebells and matching custom branded Origin Coloured Urethane Bumper Plates. Additionally, a specialist cardio offering was installed which includes the Speedfit Curved Treadmill, Stairmaster HIIT bike and Origin OR1 Rowing Machine. uGym opted to equip their facilities with the Origin Olympic Barbell range, commercial bars that meet IWF and IPF standards, and provide lifters of all ability levels excellent lifting experiences. Further functional equipment in the form of soft plyo boxes, battleropes, a prowler sled, a set of medicine balls and sandbags were provided to complete the offering. This gym was a passion project a long time in the making, but we are delighted with the end result. We are confident that our fitness offering puts us at the forefront of the fitness industry in Central Scotland. Working with Origin Fitness has been great - they jumped through hoops to make sure the products were just right for our space, and allowed us to make as many changes to the gym design as we needed in order to feel comfortable with the end result. Being the first gym in the UK to offer the REDLINE zone gives us that special edge we needed, and we are pleased to announce we reached our first 200 members within the first month of opening. 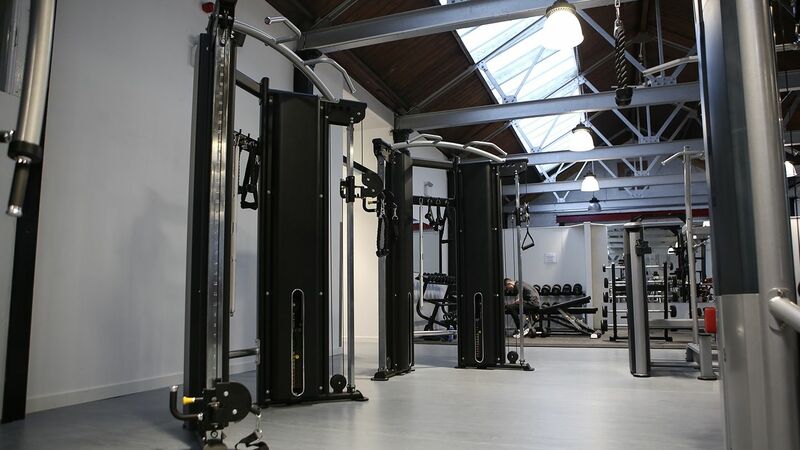 Converting an old mill in to a modern fitness space was expected to bring some problems with it, but overall we are delighted with the support we received from the Origin Fitness team, and would recommend them to anyone looking to set up their own fitness facility.